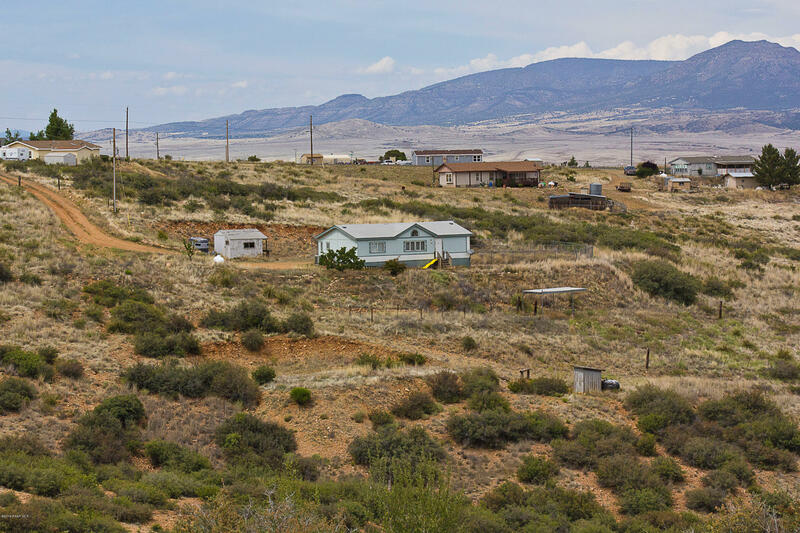 All Blue Hills Farm homes currently listed for sale in Dewey-humboldt as of 04/24/2019 are shown below. You can change the search criteria at any time by pressing the 'Change Search' button below. "BEAUTIFUL HOME WITH INCREDIBLE VIEWS. HARD TO FIND AND VERY DESIRABLE 4 BEDROOM 2 BATH, 3 CAR GARAGE ON 2.5 ACRES. HICKORY CABINETS, GRANITE COUNTER TOPS AND STAINLESS STEEL APPLIANCES IN THE KITCHEN. TILE FLOORS AND CARPET IN THE BEDROOMS. BRING THE TOYS AND OR THE ANIMALS AND ENJOY THE SPACE THIS PROPERTY HAS TO OFFER." "Back on market-your second chance! 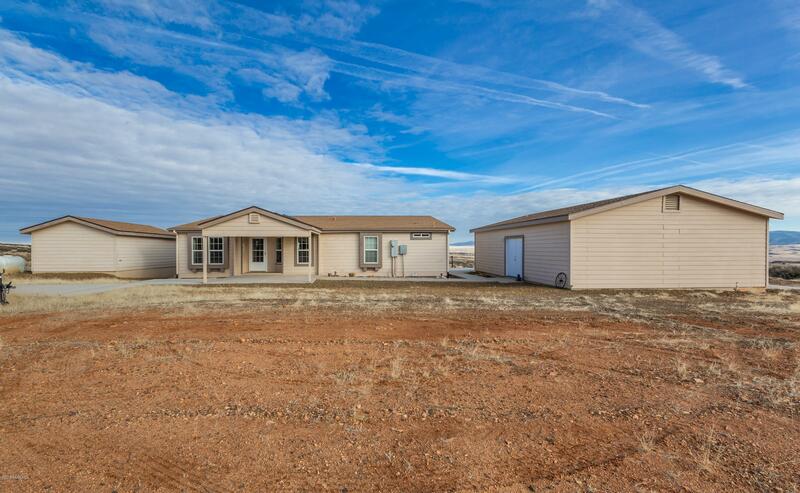 Excellently maintained 2007 manufactured home w/ 270 degree views & 1,958 sq ft. Enter from covered porch & find spacious eat in kitchen, dining area, breakfast bar, 3 bedroom, 2 full bath split floor plan with den/office/bonus room & built ins. Spacious master suite with 2 walk in closets, garden tub, double sinks. Detached 902 sq foot extra deep garage with workshop (or man cave), shelving, storage & partially plumbed toilet/shower. Two 2,500 gallon water s"
"Spacious Redman home with a split floor plan. Master has a separate room great for office or hobbies? Eat-in kitchen with R/O system and island. Separate Dining room and a oversized Living room. Ceiling fans through out, Inside Laundry. 2 Car garage, Storage sheds, Well house. 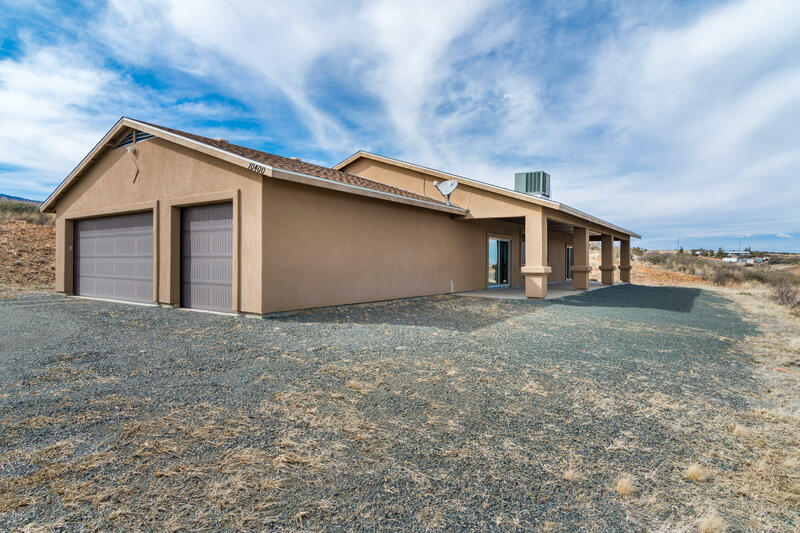 Property on 1.23 Acres fenced with a private electric gated entry." "This is a very private home on 5 acres. It has great views and room to move. The home has 3 good sized bedrooms, with a split bedroom plan. You may keep horses here too!" 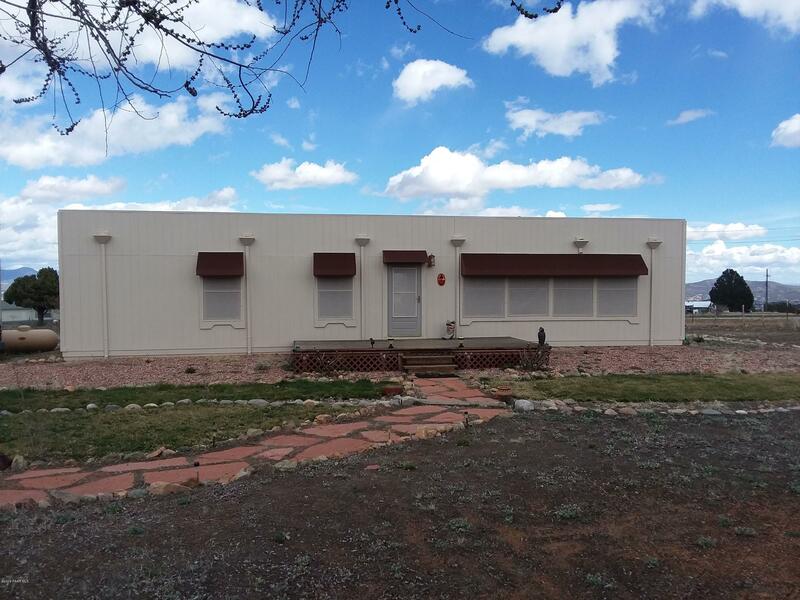 "Check out this adorable and affordable home in the center of Dewey! Paved Roads, City Water, and Site Built! But Wait there's more, Recently updated and remodeled. Kitchen is light and bright with Granite Counter tops, new appliances and lovely tile floors. 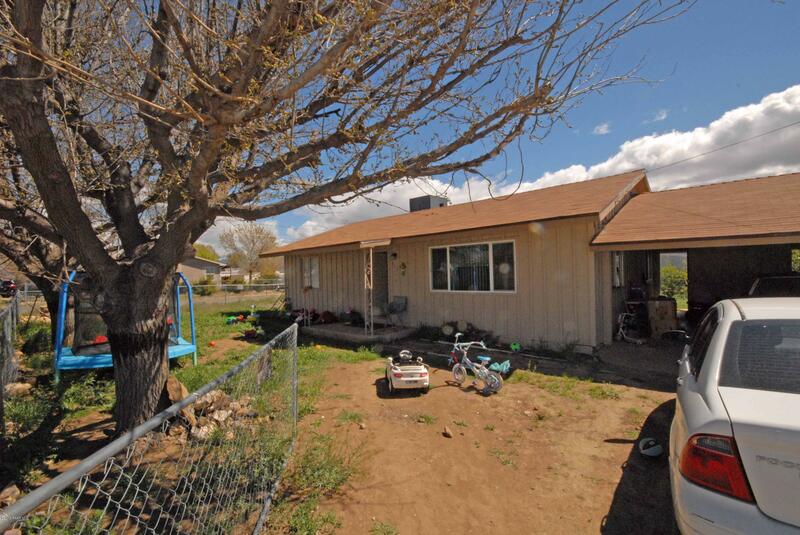 So cute, 2 Bedroom 1 Bath with a car carport on a large corner fenced lot. Call today for your showing! Tenants are month to month." "Beautiful Panoramic Views. Unique 1 bed with den, 1 & 1/2 baths 2x6 solid construction, oak parquet floors, granite tile kitchen counters, tension ring ceiling allows for complete flexibility for interior changes. The ceiling is self supporting allowing for one large space if you choose. One hour from Phoenix get out of the heat, in the cool pines of Prescott. Plus the septic was built for a larger home, The best views in the canyon! 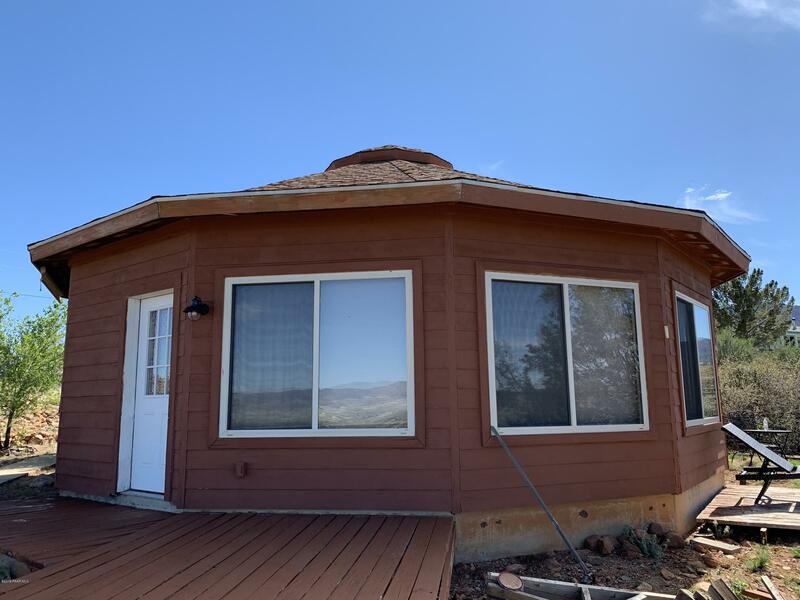 Unique hillside home with lots of potential under $145K 2.28 a"